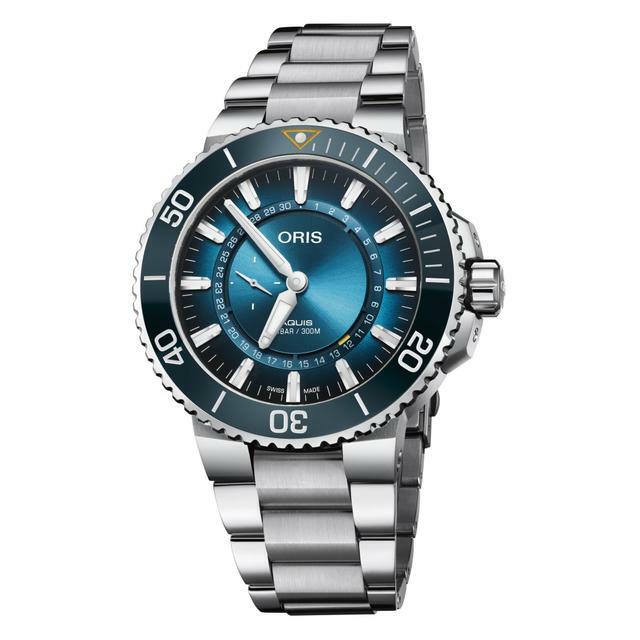 Oris has invested in marine conservation groups for a number of years, with a mission to bring change for the better relevant to the Earth’s ecology, specifically our oceans. The recently introduced Clean Ocean Limited Edition and the Great Barrier Reef Limited Edition III draw attention to this quest. There’s no question that plastic is a major threat to the Earth, with an estimated 8 million tons of the stuff leaking into the ocean each year. 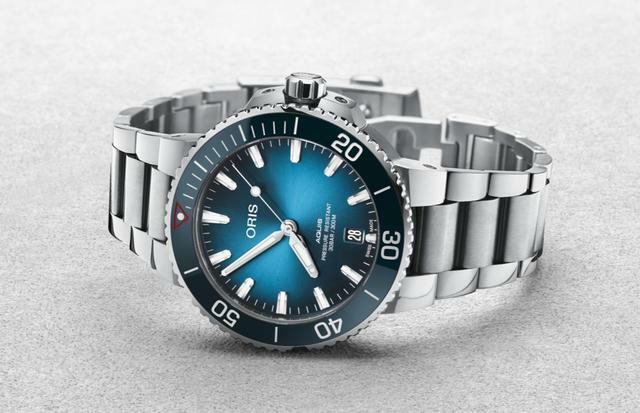 Oris has partnered with Pacific Garbage Screening, an organization that develops technology to help keep the world’s water free of the pernicious plastic, and to highlight this partnership, the Clean Ocean Limited Edition is making its debut. 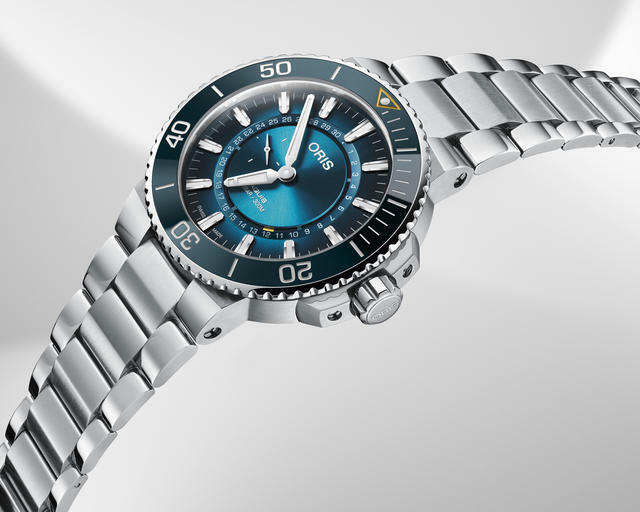 The 39.50mm steel timepiece, which is a version of the brand’s Aquis diver’s watch, features a unidirectional rotating bezel with an aqua blue ceramic insert that complements the dial. 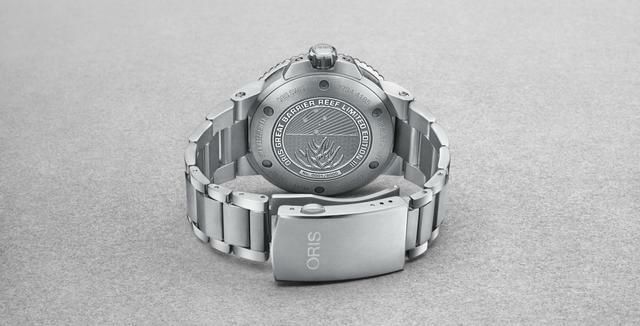 The watch is water resistant to 300 meters, thanks in part to the stainless steel screwed caseback (decorated with a medallion made from recycled PET plastic) and the screw-in steel security crown. The hands and indexes are coated with SuperLuminova. The automatic movement inside offers hours, minutes, seconds and date, and a power reserve of 38 hours. 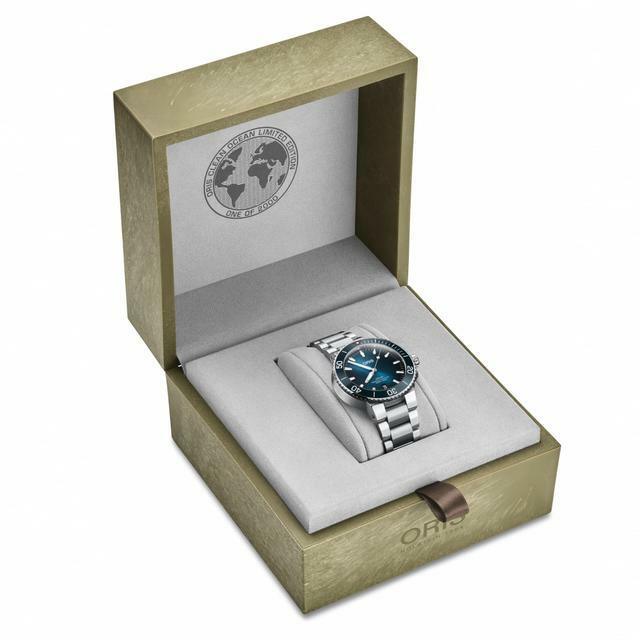 The Oris Clean Ocean Limited Edition presentation box with an outer shell made of environmentally friendly algae. 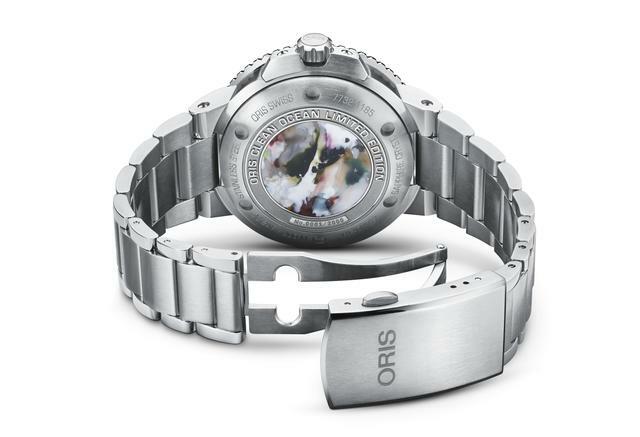 Yet another example of the Oris mission to bring positive change to the world, the Great Barrier Reef Limited Edition III is the third watch created by Oris that links its mission to the world’s largest and most diverse reef system. The Great Barrier Reef is about 8,000 years old and is a rich environment for marine life and coral, but its condition is deteriorating. Oris, in partnership with the non-profit Reef Restoration Foundation, has helped initiate a coral-planting project off Fitzroy Island near Cairns, and though the project is in its infancy, it has the potential to make a significant difference.